i've made a family book every year, since starting photography, in 2006. and today, i began designing our annual family book and wanted to include a couple of the kids' drawings this year. when kiele saw what i was doing, she asked if she could write a poem about our family, for the book. of course! 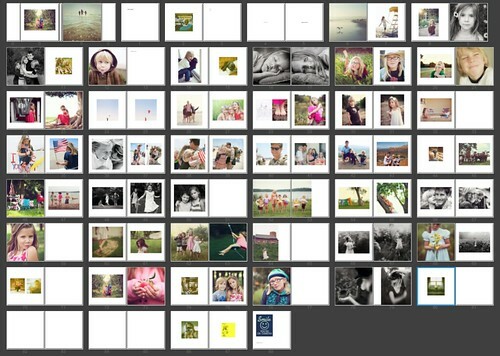 and here's a snapshot of the layout of the book. it will greatly evolve over the next few weeks, but at least i'm now off to a good start. i'll share the book layout once it's done.